The words "secret Scandinavia" match well together. What do we know about our neighbors of the North? We know there are some weird and wonderful culinary options, we know their music is annoying catchy but do we associate Scandinavia as the home of arguably some of the world's most incredible hiking trails? Between Norway, Sweden and Iceland, blessed with warm, sunny and crisp springtime weather, paired with a unique blend of Nordic hospitality and culture, taking a trip away from reality and heading to the great North is a decision you are unlikely to regret. 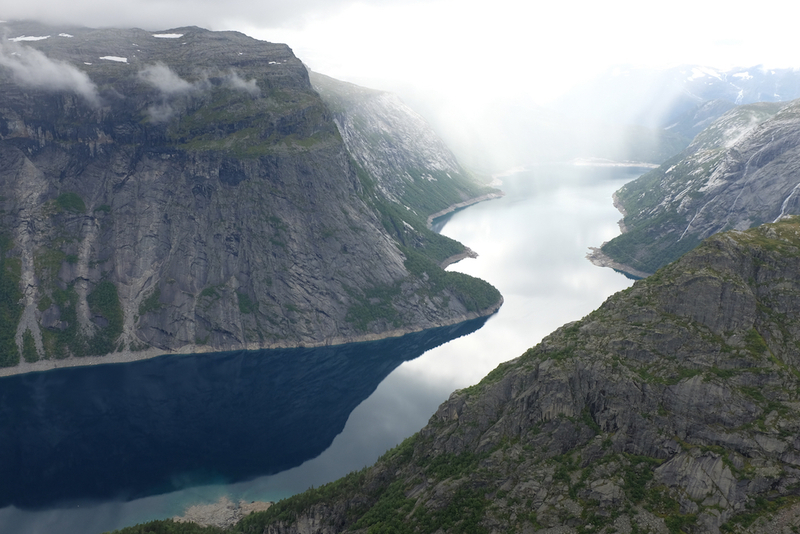 The name "Trolltunga" is evocative of myths and legends, fairy tales and a sense of magic, the "Troll's Tongue" hike will have you feeling like a real mountain. . . . . goat. A 10 hour round trip with no signal along the way forcing you to connect with the surrounding landscape. The mountains around Lake Ringedalsvatnet are as enchanting as they are rugged. The weather in the area can change quickly, we recommend doing your research before any intrepid hikers embark upon this trail. Be ready for all the elements to come your way, if you are lucky enough to time the sunshine when you arrive at the aforementioned "Trolltunga", that will be a photo op like no other, with the lake's valley behind and the mountains surrounding, hikers can reach the very tip of the Troll's Tongue. We are sure your Instagram followers will feel an inevitable pang of jealousy knowing that you completed one of "Visit Norway's" most highly recommended routes and had the chance to see this truly awe-inspiring cliff. They say not all who wonder are lost and wonder is what you will do on the Kungsleden Trail. Not a day excursion, more of an adventure for the inner nature lover, allowing you to make your hike as long or as short as you wish. Take the chance to meander across the marked path through one of Europes largest protected reserves. The king's trail will have you breathing in the heavenly mountains of Sweden's Lapland, walking by rivers that flow with an almighty sense of freedom and streams that gently trickle down the hillside. 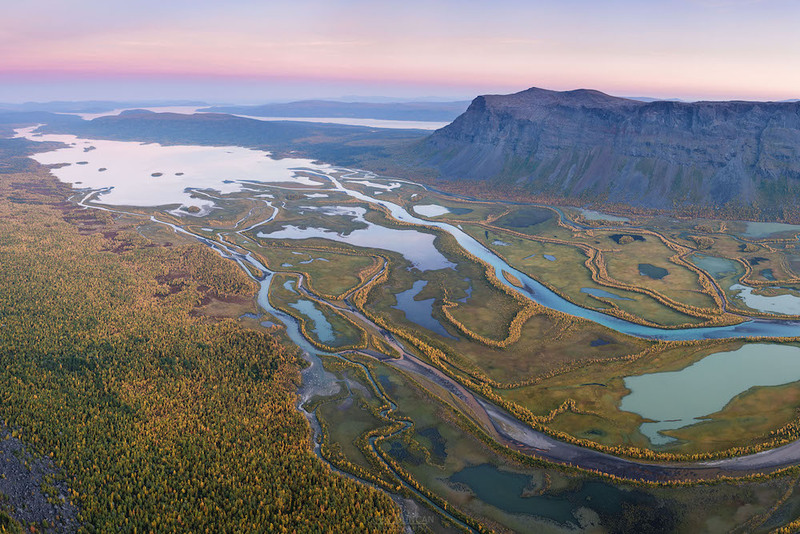 Come blue sky or cloud, Kungsleden is an adventure for the intrepid hiker who wishes to sleep, eat and walk their trail. No need to pack heavy, pack light with supplies for two days and you can find extra supplies to supplement your pack throughout the journey. Opt to rest your head in one of the many mountain cabins, huts or refuges along the way. Some of you skiers may have heard of Hemavan, which is a popular backcountry ski spot until the end of April when spring arrives. The Swedish sun clears the snow along the path to allow for the spring greens to wash the hillside, encouraging the skiers to head for colder climes and the outdoorsman to discover the sights along the way. Keep a weather eye on the horizon for Kebnekaise Mountain, Sweden's highest at 2111m and Sarek National Park where the terrain demands more experience, this area is unmarked. A trail into the unknown, Iceland is the misunderstood by many and a country we know little about but one thing is unanimously agreed, the landscape is a thing of dreams, a dream of Vikings, mountains, and dark stormy skies. Iceland is home to many glaciers, volcanos and the intoxicating mix of Fire and Ice but come the warmth of spring, Iceland is home to some incredible hiking trails. 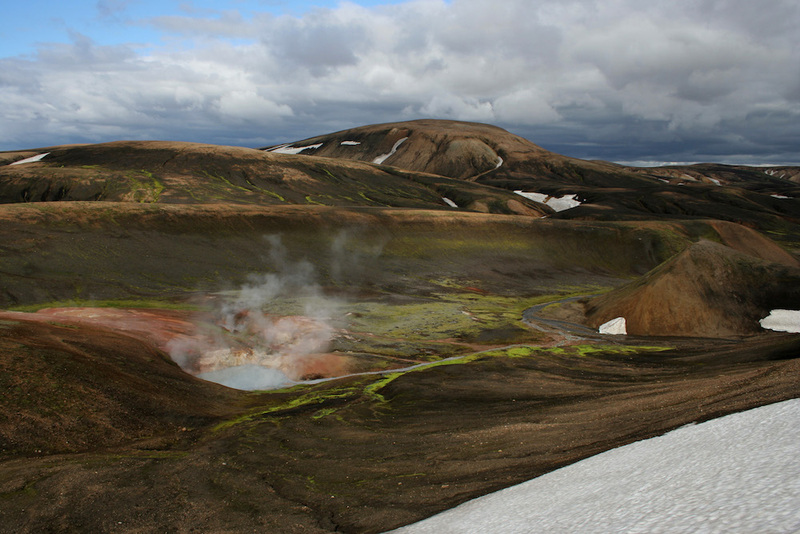 The Laugavegur hike is popular amongst locals and visitors alike, a well-documented route for good reason. A 4/5 day excursion taking you through some of Iceland's most interesting and breathtaking landscape. There are a few cabins scattered along the trail, providing a weary hiker with a place to rest and reenergize before continuing past powerful rivers, the greenest valleys and most vividly colorful mountain peaks. However, unlike our recommendations in Norway and Sweden, whose climates can find you taking in the sun without the need to layers, Iceland's weather is famously unpredictable- it's part of its charm. That’s why we recommend taking a few layers with you, making sure the layers that brave the harsh Icelandic elements, are waterproof. We truly believe that the rain adds to the semblance of wild that Is undeniable in any of Iceland's outdoors trails. Brave the weather and head into the unknown. . . .